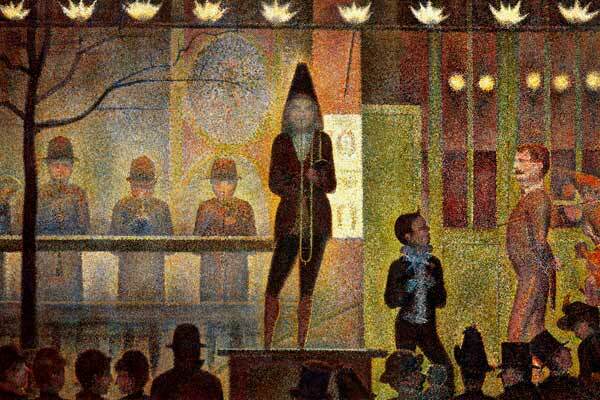 Georges Seurat and Paul Signac were the original pioneers of the use of pointillism, referring to it as Neo-Impressionism. 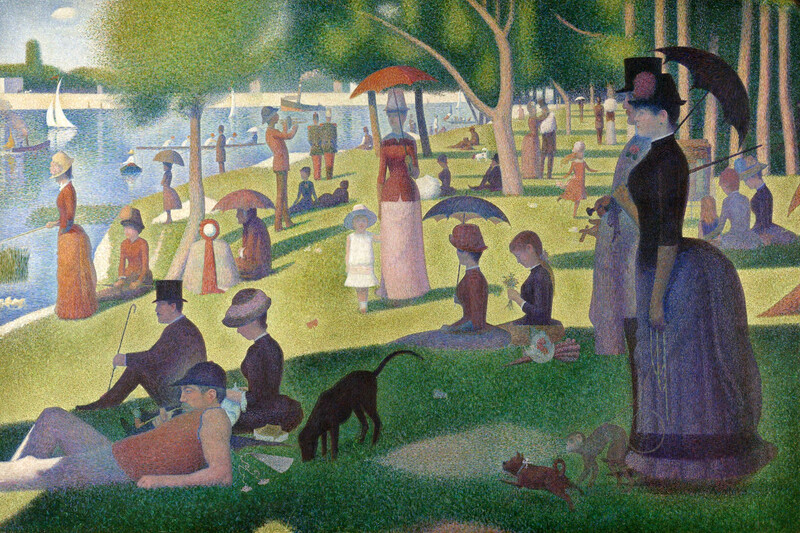 “Pointillism” was actually a derisive word coined by art critics, but the connotation of the word is no longer mocking. 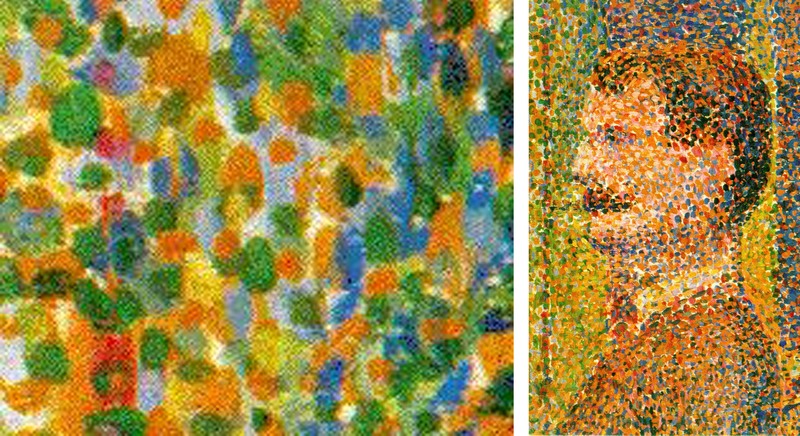 Many artists began to experiment with this technique, including Vincent Van Gogh, Camille Pissarro, and Maximilien Luce, among many others. Later, a group known as the Divisionists would tweak the idea by using larger, more square brushstrokes to create similar blended colors and patterns. 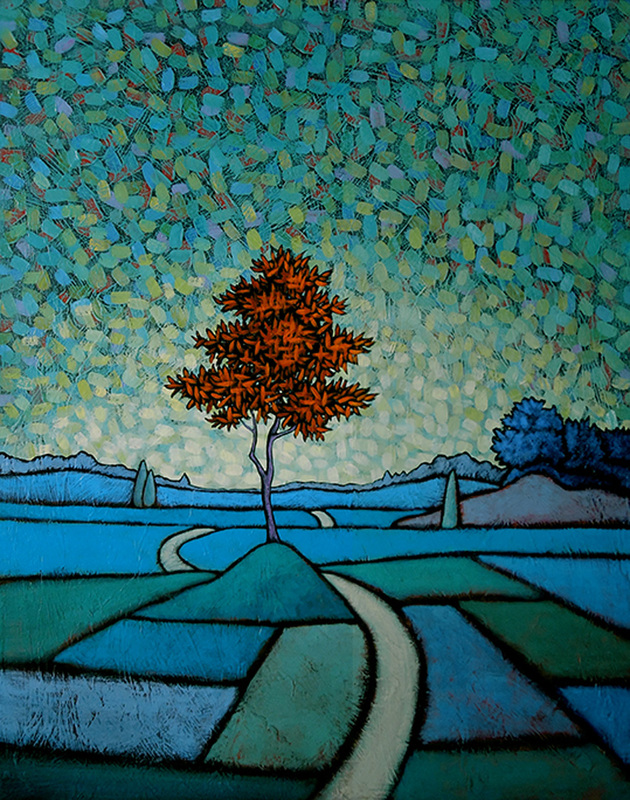 Several artists that we represent here at Principle Gallery occasionally dabble in pointillism in their works (check out the work of Mia Bergeron and Colin Fraser! ), but one artist springs to mind in particular, with his classical and frequent use of the technique. 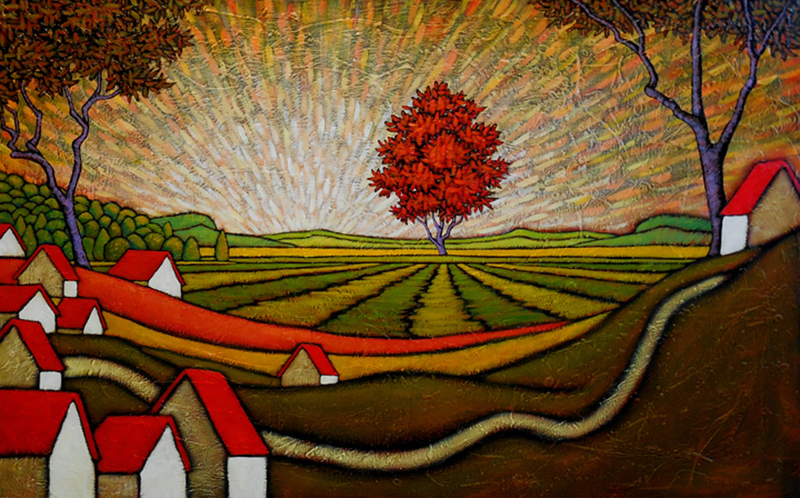 GC Myers, whose annual solo exhibition opens THIS FRIDAY, has a knack for using pointillism to create a lovely and magical effect in the skies of many of his colorful landscapes. The dappled effect can give a sense of starlight, the glow of a sunset, the sparkle of bright sunshine, or sometimes just pure, magical texture. The whole exhibition will be on display at the gallery by the end of this week, so please join us for the official opening on Friday, June 5th, from 6:30-9 PM! If you’d like to see a complete digital preview for the show earlier in the week, just send us an email! For now, please enjoy this sneak peek!